South Africa (Tadias) – Ethiopia lost 2-0 against Nigeria on Tuesday in its final game in Group C at the 2013 Africa Cup of Nations in Rustenburg, South Africa, ending the team’s historic return to the continental tournament after 31 years of absence. The Walya Antelopes could not overcome the Super Eagles to book their place in the last eight for the quarterfinals. The defending champions, Zambia, were also eliminated in the first round after a goalless draw with Burkina Faso yesterday at Mbombela Stadium in Nelspruit. The Burkinabe’s lead Group C in advancing to the next stage followed by Nigeria. Meanwhile, Ethiopian fans who made their own headlines last week for unruly behavior apologized by waving a banner during the game against Nigeria. RUSTENBURG, South Africa (AP) — Ethiopia’s chances at the African Cup of Nations have taken a hit with the team’s two top players expected to miss the decisive Group C match against Nigeria on Tuesday. 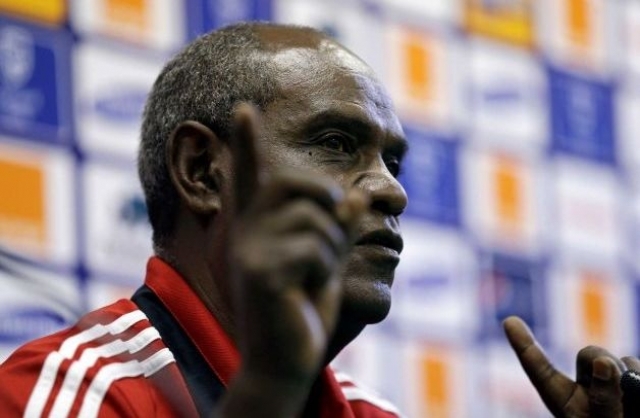 Ethiopia coach Sewnet Bishaw said Monday that midfielders Asrat Megersa and Adane Girma may not recover from the injuries they sustained in the first half of the team’s match against Burkina Faso. Ethiopia is last in the group but will still have a chance of advancing if it beats Nigeria in Rustenburg. 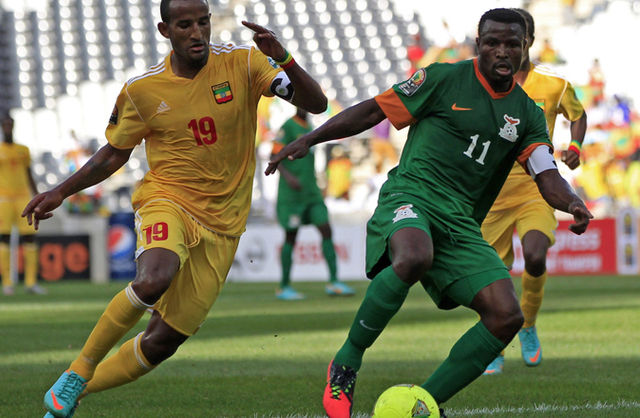 In its first tournament appearance in more than 30 years, Ethiopia earned a surprising 1-1 draw with defending champion Zambia in the opener, then fell 4-0 to Burkina Faso after Asrat’s and Adane’s injuries. South Africa – After a 4-0 defeat by Burkina Faso on Friday following 1-1 opener against defending Champion Zambia earlier in the week, Ethiopia will face Nigeria on Tuesday for its third and final game in the first round in Group C at the current Africa Cup of Nations underway in South Africa. The Walya Antelopes still has a chance to advance to the quarterfinals but they must win the next match. The remote possibility also depends on the outcome of the Burkina Faso and Zambia contest scheduled for the same day. Coach Sewnet Bishaw says he was surprised by the trouncing on Friday but promised to go on the offensive on Tuesday against Nigeria. “We didn’t expect this result from the very beginning. We hoped that we would play again like the first game and take a point against Burkina Faso,” Coach Sewnet told reporters. 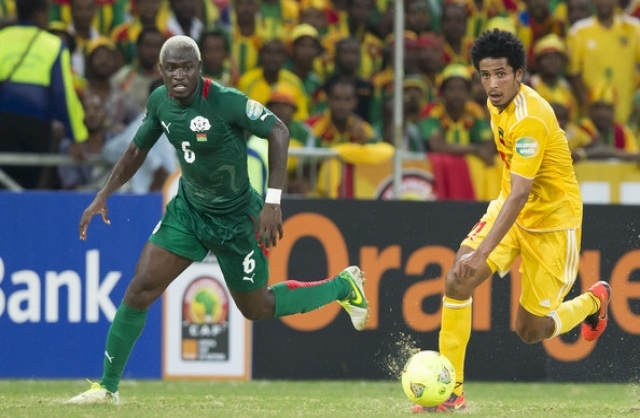 South Africa – Ethiopia lost 4-0 against Burkina Faso on Friday in its second game in Group C at 2013 Africa Cup of Nations. The dominant performance by Burkina Faso included two goals by Alain Traore who led the 10-man Stallions into victory over the Walya Antelopes. The third score came from Yusuf Kone on the 80 minute mark and the final by Jonathan Pitroipa at the end of the game. This time, it is was the Burkinabe goalkeeper Abdoulaye Soulama who was red-carded. He was dismissed around 60 minutes into the match for handball outside his penalty area. Ethiopia used substitute goalkeeper, Zerihun Tadele, in place of Jemal Tassew, who was suspended for two games following his red card last Monday during the Walyas opener against Zambia. It is also the first time the Burkinabe have ever won a game outside of Burkina Faso. South Africa (TADIAS) – Fresh off their spectacular return to Africa Cup earlier this week, after more than three decades of absence and an impressive 1-1 opening against defending champion Zambia, the Walyas who electrified Ethiopian fans around the world are preparing for their next game today against Burkina Faso at Mbombela Stadium in Nelspruit, South Africa. For audiences in the United States the game will be televised on ESPN3 beginning at 1 p.m Eastern and can be watched on the Internet and mobile devices. 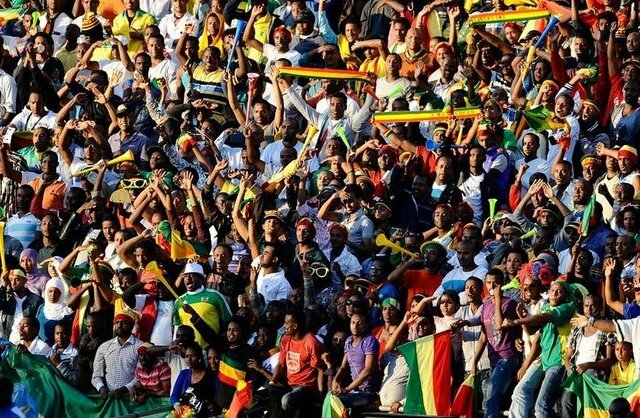 Meanwhile, the Confederation of African Football has slapped Ethiopia’s football federation with a $10,000 fine for unruly behavior by fans last Monday, which included throwing plastic bottles, cups vuvuzelas, and other objects onto the field. 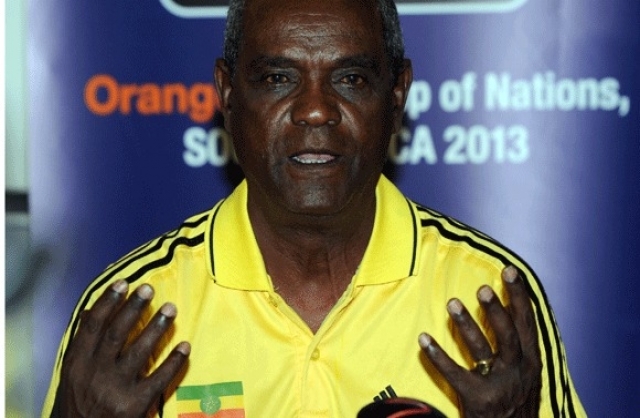 The organization said it will suspend half of the penalty if the Ethiopians behave for the rest of the tournament. It all began as a protest when goal keeper Jemal Tassew was given a red card for an aggressive tackle involving Zambia’s Chisamba Lungu. Jemal was taken off the field on a stretcher. His sending off started the wild outcry causing a security alert and delaying the game by several minutes. Jemal will not play against Burkina Faso on Friday as he is also suspended for two games.